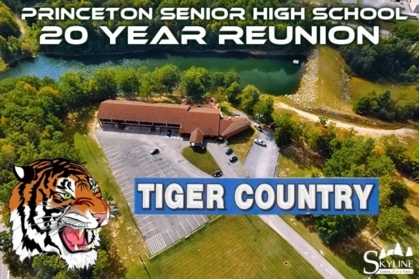 What form of communication works best to keep you updated about the 20th Reunion? Friday Night - 7pm Meet and Greet at the Skyline lounge. Saturday Day - 12pm on the grounds of Skyline Lodge - Family pizza party with games, karaoke and lots of fun. 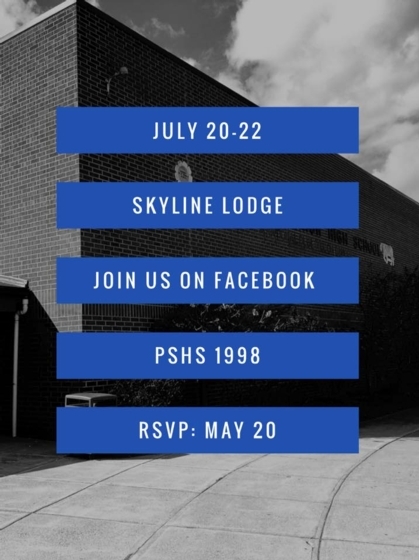 Saturday Night - 7pm Semi Formal dinner and dance on the deck of the Skyline Lodge. *** If you need child care Saturday night for the dinner, I will need to know - no later than June 20th to arrange for help. 20 YEAR REUNION TIME ! ! ! ! ! Welcome to the Princeton Senior High School Class of 1998 Website. There have been some questions as to how much of a donation needs to be made per classmate. We are asking $50 per person $100 per couple. This will cover food, decorations, venue, and entertainment for the weekend. This will not include alcohol. If you would like to donate more, please by all means do so. As always, if anyone has any questions, ideas, or suggestions please let us know! Please contribute $$$ to our 20 Year Reunion. We are ONLY 6 MONTHS away from the Event. Currently there are 31 rooms left for the weekend. So if your coming from out of town and want to stay on site, give the lodge a call to book while there are still rooms available. 🐯Donations are needed!! It’s time to start making final arrangements and deposits are due. Please see link to the go fund me page. Hope everyone can make it!! See y’all soon!!! Please look at the list of Class Members and if you know someone who isn't registered. Lets get them signed up!! !